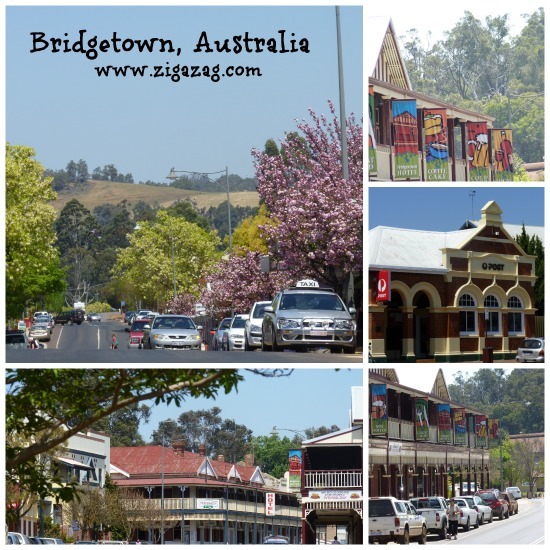 Bridgetown is a picturesque timber town nestled among rolling hills in the South West region of Western Australia, approximately 270 kilometres (168 mi) south of Perth on the Blackwood River at the intersection of South Western Highway with Brockman Highway to Nannup and Augusta. 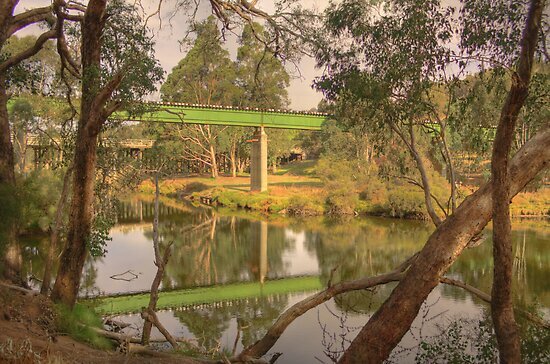 Bridgetown is on the banks of the Blackwood River and crossing the river, Bridgetown boasts the longest wooden bridge in the state, made of the area’s famous jarrah. 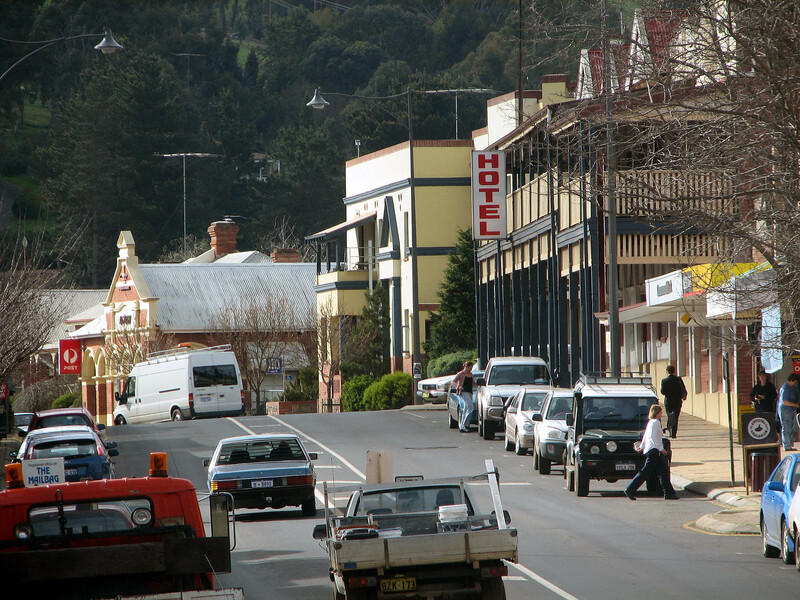 Bridgetown lies mainly north of the Blackwood River‚ 94 kilometres south-east of Bunbury‚ in the heart of the South West’s big timber country. A temperate climate and high rainfall produce the lush forests‚ rich farmland‚ pine plantations and wildflowers that attract many artists and photographers to the region. Flowers and birds found near Bridgetown W.A. One of the most picturesque towns in Western Australia, Bridgetown sits against a backdrop of the beautiful Blackwood River Valley and oozes old world country charm. It also serves a taste of the good life in generous portions, with wineries, delicious fresh produce, arts, crafts and stunningly scenic drives. You can escape the city to this quiet country life in under three hours by road and wake up to valleys filled with morning mist and tranquil forests. The centre of a thriving timber, mining and farming district, Bridgetown is a prolific producer of fresh fruits, vegetables, nuts and olives, not to mention wine and cider. You can indulge in some of its flavours in the region’s cafes, restaurants and cellar doors and cidery. 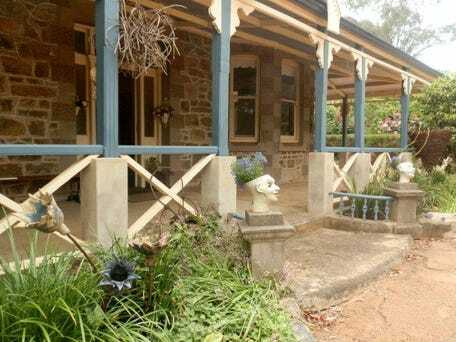 Many artists are drawn to the area, finding their inspiration in the Blackwood River Valley landscapes and exhibiting their work in local galleries. Action and adventure are in abundance too, with a network of canoeing/kayaking, walking, mountain biking and bridle trails to choose from. The town also hosts many events, including the ever-popular Blues at Bridgetown Festival, attracting world-class musicians and large crowds to the region every November. Bridgetown is the only heritage listed town in the South West of Western Australia. Originally a successful apple producing district the area has now expanded into the timber, tantalum & lithium mining, dairy, cattle, and fruit industries. The native marsupial bilby is found in the forests of this area. Within easy day trip reach are the Southern Forest areas of Pemberton and Northcliffe, the World renowned Tree Top Walk near Walpole, dolphin watching at Bunbury, the wonderful beaches of Busselton and Dunsborough, Busselton Jetty and its under water aquarium, the Margaret River Wine Region and surf beaches. 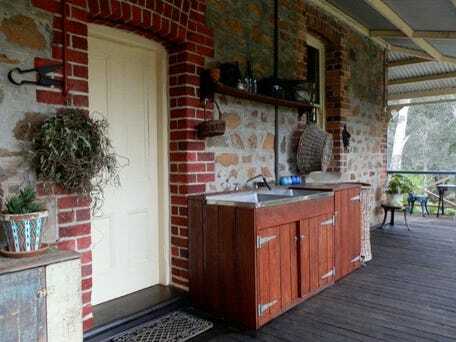 Ford House is one of the classic early properties of the Blackwood River Valley. November is time for the annual Bridgetown Blues Festival in South West Australia. Kandalee, Moyola, BellaVista were some of the gardens open in Bridgetown for the Festival of Country Gardens over four days in 2014. Tranquility, hospitality and breathtaking views make Bridgetown an ideal place to catch your breath and establish a base from which to explore the Blackwood Valley’s wealth of attractions. Just under 3 hours drive from Perth and a little over an hour from Margaret River and the coastal strip, the area is your opportunity to unwind and enjoy the very best of the South West. Bridgetown itself enjoys a rustic charm with a unique wooded backdrop and an enviable array of eating houses and boutique shops. Once the apple growing centre of the state, Bridgetown is now famous for its rolling hills, scenic drives, jarrah forests, starry nights and the longest flowing river in the state, the mighty Blackwood. ‘Dorothy Perkins’ has opened and emerged from out of the Wisteria at BellaVista in Bridgetown. Horti Towers teahouse, Bridgetown W.A. Heritage Houses in Bridgetown W.A. Large bungalow residence built of stone and brick by the Bazzo Bros. builders, in 1930. Over the years the name of the property has become “Park Farm”. In 2011 the well preserved buildings are surrounded with mature exotic tree species, including Bunya Pines. A gazebo and the breezeway between the main house and the kitchen have been artfully incorporated into the structure, enlarging the original living area, whilst maintaining the architectural integrity of the original house. 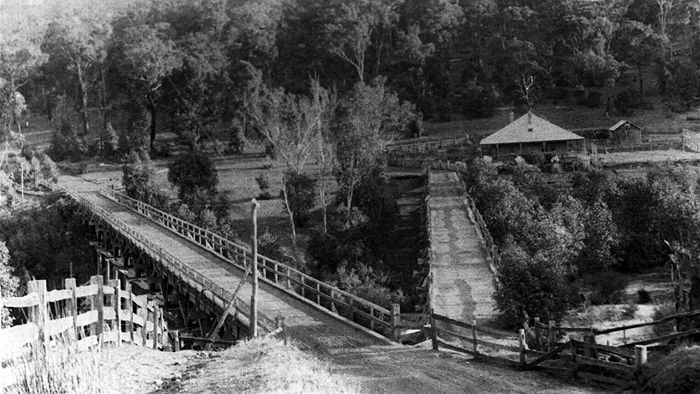 The house was built near to the original ford over the Blackwood River for W.A.G. Walter who was the first Magistrate in the district. He bought 5 acres from the original land owner J. Blechnynden, which includes an arboretum. The property was named after the Walter’s Estate near Tunbridge Wells in the UK. It has historical, social and aestheic significance as a fine example of a home of the period. Ford House is a Retreat set in exquisite grounds in Bridgetown, in the centre of south west Western Australia. The accommodation offers luxurious 4.5 star facilities. The Bed & Breakfast and Emporium are set amongst 5 acres of beautiful gardens and parkland on the edge of the Blackwood River. Sweeping views, fresh flowers, open fires, spas, a library and lovely gardens add a special touch to this historic property. On-site is the boutique Tongue & Groove Café, open for breakfast, and lunch can be arranged by request. Heritage Place No. 247The Nelson House was built in the 1890’s as the ‘Warners Hotel’ and featured a public bar. Unfortunately it was a little too far from the centre of town and the railway station to have any real success (especially as a bar). The owners later turned the premises into a boarding house and a small doctor’s surgery. Left abandoned for some time, it became the official haunted house of Bridgetown (every town has one). During World War II it housed Italian interns. Today it is a motel and restaurant. 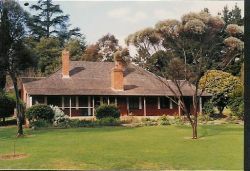 Front of Bridgedale House, however shingles now replaced by corrugated iron. ‘Bridgedale’, the Blechynden House, is the oldest building in Bridgetown and was owned by John Blechynden who was a pioneer pastoralist of the Bridgetown district in the 1850s. Bridgedale was constructed in stages and the main part was finished in 1863. It was built by John Blechynden, William May and Joseph Green. They fired the local clay bricks, used local timber which was pit sawn and cut with broad axes and used wooden shingles on the roof. The original house consisted of five small rooms with a middle one serving as a kitchen-living room. Additions were added later as John and Elizabeth Blechynden’s family grew. In 1862 Bridgedale became a temporary site of the area’s first school. The building was purchased by public subscription in 1969 and handed over to the National Trust of Australia (WA) who now administers the building. Of particular interest are the beautiful gardens and tiny building behind the house where the original owner lived while Bridgedale was being built. The house is currently closed to the public. There is a pleasant river walk which starts from the house and takes you along the banks of the Blackwood River over a small bridge behind the caravan park through the Blackwood River Park and over the traffic bridge back to Bridgedale House. Heritage Place No. 6646Windy Hollow Homestead & Treehouse is 6 kms east of Bridgetown (follow the blue tourist signs). May Cottage is a simple, rectangular, timber framed slab structure with gabled roof, small paned casement windows and a simple brick chimney with external flue to the west wall. The house has a new, red colorbond roof and skillon verandah, with large extension and timber deck to the south. 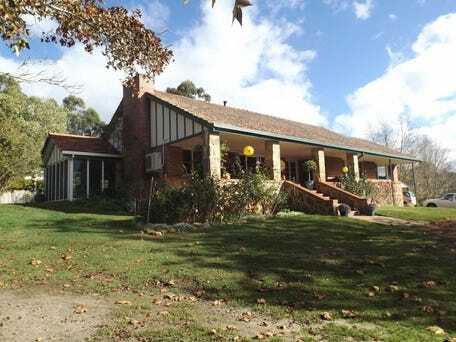 The timber and red colorbond extension is ‘L’ shaped in plan, with a replicated gable roof abutting the original residence along its south elevation, and a gabled north-south walkway linking the western end of the residence to a western wing. The extensions are not readily visible from the street, and the original form of May Cottage is still clearly evident. The pioneering May family of nine lived on a ten acre allotment selling produces, such as fruit & vegetable, dairy goods, in town. Very significant representing the type of construction typical of early cottages in the south west forest areas in the period of early settlement between 1850 and the 1880s. Significance increased by the intactness and condition of the fabric. In 1920 the old Peninsula Homestead was demolished to make way for a grand new building which remains standing today. At times it has been derelict and vandalised, threatened by bushfire, but recently restored to its former glory by the current owners. A fine stone and brick mansion with views to the Blackwood Valley beyond. Large stone house (14 rooms) with tiled roof in original condition with original garden of significant plant specimens. House built by Gerry Randle who owned Bridgetown’s electrical plant prior to S.E.C. supply. In 2000 Bridgetown was the eighth town in the state to be listed by the National Trust and granted Historic Town Status. This Federation Free style building was constructed in 1909 to become a branch of the Commercial Bank of Australia. Originally known as the “Post and Telegraph” office, the Bridgetown GPO was built in 1890. Prior to this the postal service was run from the Bridgedale homestead by John Blechynden in Geegelup. Mail came into town by horse and coach from Donnybrook. 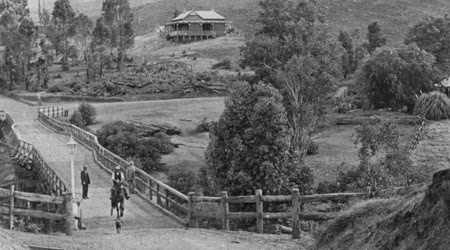 In 1895 a regular mail service operated between Greenbushes and Bridgetown and when the railway was completed in 1898, mail would come in twice a week. The Bridgetown Post Office was built in Federation Free Classical style. Old Gaol & Police Quarters, Bridgetown, a single-storey Victorian Georgian style brick and shingle former police station and lockup and Federation Filigree style police quarters, has cultural heritage significance for the following reason: The Gaol is the oldest government building in Bridgetown, and one of the oldest surviving buildings in the town. 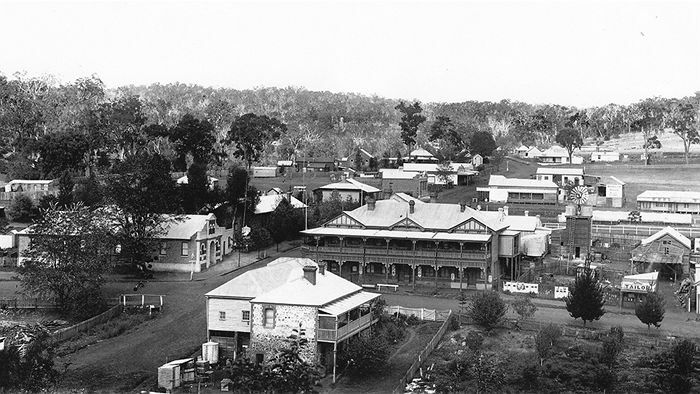 The town’s first police station was located down by the Blackwood River but in 1880 a new one was built on Hampton Street (this now being the old gaol!). The old gaol included the police quarters which was first occupied by Constable John Bovell in 1880. The gaol had two cells, a kitchen and an exercise yard. The gaol was used right up until the 1970’s when a new police station (but less attractive one) was built. The police quarters were used by the police until the 1980’s. The National Bank building was built around 1910 and is indicative of bank construction of the time. By the 1970’s the bank was no longer in use and is now occupied by commercial businesses. Federation Free Style: The former bank is constructed of tuck-pointed stretcher bond brickwork with rendered detailing and a random-coursed, stone foundation. The rendered detailing includes a triangular central parapet (with moulded shield and leaf motifs), parapet posts, moulded cornice, moulded window and door hoods (with triple brackets), plain string courses, moulded window sills and plain plinth. The entrance to the building is emphasised by a slightly projecting central bay and recessed door, forming a shallow porch. 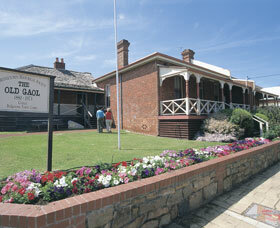 Just about every town, big or small, in Western Australia has a Masonic Lodge. The Bridgetown lodge is known as the Nelson Freemasons Lodge No 60 of the WA Chapter. The chapter was founded in 1899 (under the Scottish Constitution) by nine local freemasons. The Bridgetown Hotel was built in the 1920’s to replace the original hotel known as the Dawes (later the Cowan Hotel). The original hotel was built from mud bricks and was situated just below street level, making it a steep step to the beer. When the new hotel was built, remnants of the original hotel were incorporated into the design. The hotel is built in Federation Filigree style. The interior of the hotel features a jarrah staircase, pressed metal ceilings and a fireplace. 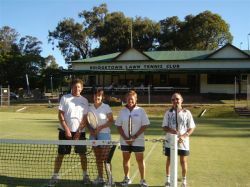 The Bridgetown Lawn Tennis Club was established in 1927 and the pavilion was constructed at about this time. The pavilion is constructed of timber frame with weatherboard lining and an iron roof with a small central gable above the verandah. The walls and roof are currently painted green. There is a concrete and brick terrace on the northern side of the building facing the courts which has been extended. There is also a brick shop on the western end of the structure which is not original. There is an honour board on the verandah for players which dates from 1928. There is also a memorial gate with stone piers and attractive wrought iron work, in memory of Tom Graham, foundation and life membe of the club, 1927-1945. The steps to the club are also a memorial to three club members. The club is still a social focus in the town. The coming of the railway was probably the most influential factor affecting Bridgetown’s development in 1898. The existing structure (weatherboard with iron roof) is substantially the same as it was originally constructed. 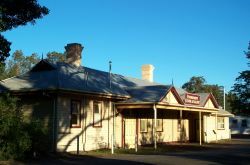 The Railway Station is currently leased to the Shire of Bridgetown-Greenbushes by the Government and is home to the Blackwood Environment Society, Friends of the Forest and the Blackwood Landcare Office. The building is listed on the Shire of Bridgetown-Greenbushes’ Municipal Inventory. The Mechanics Institute after 1906 renovations. Two-storey masonry building constructed in the Inter-war period that blends some Federation Free Classical style characteristics with more contemporary motifs. Displays some of the aesthetic characteristics of the Federation Free Style. Later additions to the building were carried out in the Late Twentieth Century Post-Modern Style. Constructed on the previous Mechanic’s Institute which was demolished. 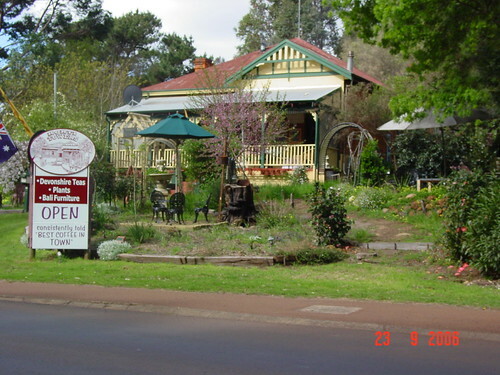 The hotel was built in 1904 by the Bunnings Brothers, timber millers from Manjimup who later established the Bunnings Hardware chain. They used timber from their mills and bricks from their own kilns. The design is known as Federation filigree style, with additions and internal alterations in the interwar Art Deco style. It was built as a country retreat and ‘health resort’ with the aim of attracting wealthy holiday-makers from Perth. A 1913 newspaper article states; The amenities at this date included acetylene gas lighting to the whole building, hot and cold running water, a plunge bath ‘and other luxuries’ which were available, such as horse stables and automobile garages. Taking up the corner of Steere and Hampton Street is the Freemason Hotel, built by the Bunnings brothers between 1904-1907. 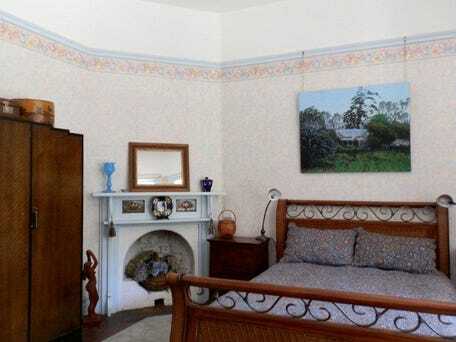 Retaining most of its original construction this fine old hotel once boasted 15 bedrooms, two dining rooms, a drawing and smoking room, gas lighting and best of all hot running water so you could really enjoy the plunge bath. Outside were stables and garages. It was built in Federation Filigree style (with Inter-war Art Deco additions) and features red tuck pointed brick, corbelled chimneys and gabled roof line.